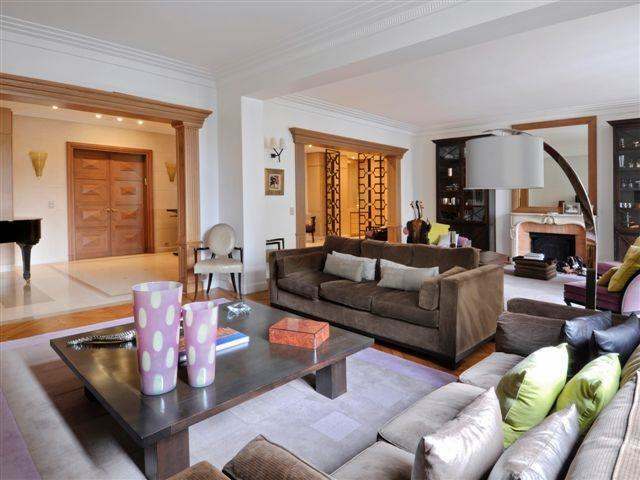 This impressive luxury apartment has a great location and an view on Bois de Boulogne in Neuilly. The apartment offers on 315 m2 of construction a lobby entrance with visitor`s ½ bathroom, a 70 sqm living room with large windowsi with views on « Bois de boulgne » a dining room, a fully equipped fitted kitchen, a large office, a laundry room . The apartment offers 4 bedrooms, 2 bathrooms. A very nice ceilings height in this 1930 building. Spacious parking and large cellar.